Joshua, I thought of you when I read an Orion blog posting by an unlikely Miami denizen, Karen Russell, author of two books for children with intriguing titles: a book of short stories called St. Lucy's Home for Girls Raised by Wolves, and the novel Swamplandia! Ms. Russell quotes a great poet and an even greater novelist, both women, both memorably creative and of highly distinctive voice, whose words evoked my memory of your sermon about the number of poems we don't understand on the way to the one we do. First, the brilliant Flannery O’Connor, who said, “The truth is not distorted here, but rather a distortion is used to get at truth.” And then Marianne Moore calls poets "literalists of the imagination" and poems themselves "imaginary gardens with real toads in them." Marianne Moore in turn brings to mind a thought apropos of your sermon. Like William Carlos Williams, she had a second vocation, like being a rabbi, that served household economy, social justice and the nourishment of her art. After her graduation from Bryn Mawr in 1909 she taught at the Carlisle Indian Industrial School in Carlisle, Pennsylvania, until 1915, when she began to publish her poetry. Afterward she served as editor of the literary and cultural journal The Dial. Karen Russell is the author of the book of short stories St. Lucy’s Home for Girls Raised by Wolves and the novel Swamplandia! , reviewed recently in the May/June 2011 issue of Orion. We asked Karen a few questions about the intersecting roles of place and fantasy in her writing. When I first started writing stories, eons before I ever did any reflecting on “craft” or “process,” I would just sort of naturally begin with setting, usually an aqueous or a densely wooded one, a literal, concrete place that I could see in my mind’s eye. In St. Lucy’s Home for Girls Raised by Wolves, the story “The Stargazer’s Log” I imagined as being set on a sleepy beach like Marco Island, on Florida’s Gulf coast; “Ava Wrestles the Alligator” was set on a failing alligator park in a kind of haunted version of the Everglades; and “Z.Z.‘s Sleepaway Camp for Disordered Dreamers” was a camp on an island of pines where it seemed always to be twilight or midnight, aMidsummer’s Night Dream of a woods. In Florida, fantasy is our big industry, so I think it’s natural that in my writing I keep returning to settings where the boundary between the real and the fantastic, the natural and the artificial, gets effaced. I was very influenced by the theme parks that surrounded me as a kid in South Florida, these artificial worlds like the Miami Seaquarium that fronted the real ocean, or the Gatorland park in Orlando where you walk through a gaping, cartoon-green archway built to look like an alligator’s jaws in order to see the real thing. Here’s a creature that hasn’t changed in millions of years, and who survived its ancestors, the dinosaurs. It’s like a splinter of time. And while this Mesozoic monster is swimming around an artificial lagoon, children are wandering around the park with balloons, and infants are sucking on rubber pacifiers in their strollers while their dads push them, talking on cell phones. Flannery O'Connor at the age of 39, well before publication of her mature works of fiction in the 1950s and 1960s. I think the geography of my childhood conditioned me to be drawn to fiction that was elastic enough to contain multiple universes, to juggle many worlds at once. Because that was daily life in my homestate. That collision of different kinds of time and natures and realities. For example, it took us forty minutes to drive from the Dadeland Mall, with its frenzied music and Food Court and zillions of people from every country you can imagine, and the “Hurry! Hurry! Buy! Buy!” vertigo of all malls, down the Dixie to the Everglades National Park, which felt dizzying in a very different way. I was an anxious kid, and somehow going to the Everglades could cure me of that shallow-breathing feeling. There is so much sky. And green spots of color on the horizon, these hammocks, tree islands, that appear to be floating in a sea of dark yellow grass. Even as a nearsighted child with a short attention span, I think I realized the sublimity of a sky that huge, of birds and trees as comically strange as the pelican, the royal palm. The Everglades, compared to the high-speed, honkadelic retail at Dadeland Mall, felt like a timeless, mythic setting: palm trees and gumbo limbo, big flame-red poinciana, mangroves and sawgrass, white ibis and great blue heron, anhingas frozen on pylons, turtles, manatees, and the grinning alligators, of course. As a reader, I’ve always been attracted to books with settings that feel both wholly real and wholly other. Siamese-twin universes, where the daylit world we know is connected to an underworld or alternative reality. When I was a kid, so many of my favorite books seemed to simultaneously occur in a world that I recognized and some alternate zone—a bunch of anemic, pink-eyed British kids walking through their closet door to become the heroes of Narnia, say. Or siblings tesseracted through space to a different dimension, explorers plummeted in a submarine to an alien, liquid realm. A Midsummer’s Night Dream is set in both a real woodland and an enchanted fairyland where all ordinary laws are suspended. So long as you have a human character interacting with a landscape, all those dreams zipped up in a skinsuit, I think you’re going to end up with an amalgam of fantasy and reality. Every tree and rock is filtered through that particular human’s eye. Any physical setting, in whatever book you take down off the shelf, whether it’s Venice or a Martian bear cave, reveals these other dimensions: the fantastic, subjective, invisible dimensions of the material world. In Swamplandia!, I often found the physical settings through which Ava and Kiwi and Ossie travel to be analogous to their emotional states—when Ava has to escape from the swamp, for example, I pictured her trip across the vast floodplain as the literalization of what it feels like to move through grief. Similarly, when Kiwi gets “swallowed” by the Leviathan slide at the mainland World of Darkness theme park, I thought of that as symbolic of what it feels like to be digested by an impersonal institution: to become anonymous. Setting for me almost always operates on both a literal and a figurative plane, but only over the course of drafting does it become sort of shockingly obvious to me. Grief in a swamp, you don’t say? I’m always the last to know! I discovered a lot of the places that ended up seeping into my fiction between the ages of ten and fifteen, when I would go on these long bike rides. I was a little bit of a loner, and I’d ride my bike to Matheson Hammock almost every day after school—it’s one of the last remaining hammocks in Miami, and right in the heart of the city, a really quiet oasis where I liked to pedal fast through this truly eerie mangrove tunnel. Sometimes I’d be the only one there and I’d see this beautiful heron that I swear looked as tall as me, just standing stock-still in the water. James Merrill has that beautiful line: “the world beneath the world is brightening.” Whenever I saw that great blue heron, that’s exactly how I felt—like some mystery was drawing closer to the surface, where you could almost glimpse it. And I think that’s the power of the richest settings in fiction—they take you to where the world beneath the world begins to brighten. Karen Russell, a native of Miami, received the 5 Under 35 award from the National Book Foundation in 2009. Her novel Swamplandia! was published in February 2011 by Alfred A. Knopf. Return to the figure above. Note that it's 99.9%, not 99%. Paul Krugman, in the important New York Times essay reprinted below, says "We are the 99%" is an admirable slogan that nonetheless aims too low. It should be altered to specify the considerably higher figure of 99.9%, nine-tenths of 1% higher. That is not an insignificant difference, nor does that difference represent a small number of us. About 2,814,000, give or take a few. Put another way, Krugman demonstrates with reliable data that 0.1% of the American population, about 312,000 people today, have accumulated, possess and show no measurable intent to relinquish, 99.9% of "our" nation's wealth. After taxes. That is economic inequality — and the stuff of oligarchy rather than genuine democracy — on a scale unequaled in American history. "We are the 99.9%" is not as catchy a slogan as "We are the 99%," but it makes a helluva difference in the quality of a lot of Americans' lives, measured in material well-being and access to government, education and health care. It also suggests that democracy in the United States is largely a fiction, a fig leaf imposed upon a working oligarchy. Does it mean that elections are meaningless, that freedom of expression and freedom of religion are non-existent? No, it does not. It does — or should — raise serious concern that the third and fourth freedoms Franklin D. Roosevelt described and advocated 70 years ago for the United States and "everywhere in the world," freedom from want and freedom from fear, are deeply endangered species right here at home and indeed everywhere in the world. We must disenthrall ourselves, devote ourselves to their protection and nourishment for the 100%. The Occupy Wall Street movement represents something new in America, even while it bears some similarity to earlier Gilded Ages. It's not surprising that we don't yet understand it well. The analogies ready at hand in the media don't apply. Our ready responses, pro or con, approving or hostile, are inapplicable, or only very partially applicable. The movement may fail. The most recent news of its birthing ground in Zuccoti Park is not encouraging. The movement may succeed. If it does, some of the credit, ironically, should go to the Republican party, which, as John Feffer of the Institute for Policy Studies writes, "has been so extreme in its defense of the 1 percent – actually the 0.1 percent, as Paul Krugman points out – that it has effectively seceded from the country to create a confederacy of cupidity." Of this only we may be sure: We are watching — or seeking ways to nourish or undermine — something of potentially great consequence. 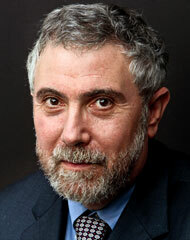 Krugman does his best to suggest some reasons why the movement should succeed. Your attention will be repaid. Before I get to those policy disputes, here are a few numbers. The recent Congressional Budget Office report on inequality didn’t look inside the top 1 percent, but an earlier report, which only went up to 2005, did. According to that report, between 1979 and 2005 the inflation-adjusted, after-tax income of Americans in the middle of the income distribution rose 21 percent. The equivalent number for the richest 0.1 percent rose 400 percent. For the most part, these huge gains reflected a dramatic rise in the super-elite’s share of pretax income. But there were also large tax cuts favoring the wealthy. In particular, taxes on capital gains are much lower than they were in 1979 — and the richest one-thousandth of Americans account for half of all income from capital gains. After all, in an idealized market economy each worker would be paid exactly what he or she contributes to the economy by choosing to work, no more and no less. And this would be equally true for workers making $30,000 a year and executives making $30 million a year. There would be no reason to consider the contributions of the $30 million folks as deserving of special treatment. But, you say, the rich pay taxes! Indeed, they do. And they could — and should, from the point of view of the 99.9 percent — be paying substantially more in taxes, not offered even more tax breaks, despite the alleged budget crisis, because of the wonderful things they supposedly do. Still, don’t some of the very rich get that way by producing innovations that are worth far more to the world than the income they receive? Sure, but if you look at who really makes up the 0.1 percent, it’s hard to avoid the conclusion that, by and large, the members of the super-elite are overpaid, not underpaid, for what they do. So should the 99.9 percent hate the 0.1 percent? No, not at all. But they should ignore all the propaganda about “job creators” and demand that the super-elite pay substantially more in taxes. Thanksgiving evokes the theme of homecoming, return of the prodigal son. Rejoice, for he and she who were lost are found. Rembrandt's vision is, for me, the most moving and profound of interpretations. Look at the father's arms and hands, as expressive as his face. And the son's sandals worn to almost nothing, his head cradled upon his father's chest. Finally, the light upon them both. Jesus's parable — the last in a sequence of three stories about redemption in the Gospel of Luke — is a story of forgiveness, following an archytypal journey of a father's extravagent misjudgment, his younger son's longing, quest, loss, return and in this moment redemption. It is the father's prodigality that starts the ball rolling, the son's that carries it along, and their reunion, transformed, that brings it to conclusion. This is meant to be a Thanksgiving toast. To offer such without mention of those who are genuinely without adequate shelter, food, health care and educational opportunity — the symbolic 99% — would be uncharitable and cruel. The poor in these United States and elsewhere are invisible enough. We need not compound that absence of vision by ignoring them at Thanksgiving. As today's lead editorial in the New York Times says, "One in three Americans — 100 million people — is either poor or perilously close to it." Nearly 50 million people are below the poverty line. Seventeen million of them are children. As the Times concludes, "There is a growing out-of-sight-out-of-mind problem....The poor do without and the near poor, at best, live from paycheck to paycheck. Most Americans don’t know what that is like, but unless the nation reverses direction, more are going to find out." A dour but realistic note on which to end this Thanksgiving toast to all. Remember, it isn't the 1% who will inherit the earth. I need to learn to celebrate the unpredictability of my memory. If I only knew its logic I would feel some recompense. The mere idea that it may have logic gives heart. I don’t strike; I am struck. I don’t even strike when struck. Neither, however, do I offer the other cheek. I just let the numb red one face whatever’s to come. No, I honestly can’t remember striking anyone in anger. I do recall being struck in anger, for example by the former boyfriend of a girl sitting in the car beside me. I’d rather look, and sometimes of course I don't see (I didn't see him coming, just his fist). Although by God I have been angry, and I have a considerable repertoire of sublimation and repression. Upon early reflection, my assumption became: I haven’t struck because if I struck the impact would be so dire that prison and poverty were inevitable and the globe was at risk. Superman run amok; an island, not an atoll or a rock, but a real island, blown sky-high with the flash and then the mushroom cloud. Cosmic devastation. (3) I’m just tickled pink and scared shitless that I harbor such destructiveness —even if, especially if, the victim is but one other person (a wife, say; or a parent, to really draw circles within circles). Being angry and facing anger straight on, directed at me, literally make and made me sick. I do damned near anything to avoid it.... been true I think my whole life. Was I emotionally abused as a child? By neglect, not ill will, but yes. Will I remain that child for the rest of my small remaining span? Yes. Who else am I at heart, if anyone, and how could there possibly be room? A smidgen at least. It has something to do with voices, first and third and whatever. Whose narrative is it? There are so damned many voices; if we listened to them all we would be reduced to schizophrenic coleslaw. If we don’t, we may be gambling with our souls. Some of the voices are true, some false, most misted in partiality and ambiguity. And how long is it incumbent upon us to wait? To even ask that question is arrant foolishness. Miss Thistlebottom teaches English. She tells her students how to write. Miss Thistlebottom knows there are rules and rules must not be broken. Sticks may be broken, preferably upon a recalcitrant child's rump or hand, but rules are sacrosanct. Miss Thistlebottom's hobgoblins are the children of hairy little men and women. They break rules, often just to be rude. They are disruptive and should never have been allowed in school. If they cannot be sent home they must be ignored or punished. Exemplary children, of whom there appear to be fewer and fewer, are those who are attentive, malleable, and follow the rules without question. Miss Thistlebottom occasionally praises them, and was convinced they would inherit the earth. She is no longer sure of that — especially since her encounters and exchange of letters with one Theodore M. Bernstein, who had the termerity to include her letters in a book he called, without her permission, Miss Thistlebottom's Hobgoblins (Farrar, Straus and Giroux, 1971). Theodore Bernstein was the editorial director of the New York Times Book Division, taught journalism at Columbia’s School of Journalism for 25 years and served as a consultant on usage for the Random House and American Heritage dictionaries. He invented the archytypal Miss Bertha Thistlebottom not to debunk the rules of English grammar and usage, but to relieve of fear and frustration those who choose now and then to make exception to the rules. That was in 1971, when the rules and 8th grade teachers like Miss Thistlebottom were more likely to be found and therefore in need of remedy. Forty years later the reverse is more likely. Writers familiar with rules of style and usage are less common. Fewer people have a well thumbed Chicago or New York Times manual or even a good dictionary. Smart phones go hand in hand with dull people. Letter writing is outmoded, historians pull their hair, email is brief or it is unread. Humbug and publicity are rife, masquerading as communication. We've even forgotten to shut up and listen. We talk to each other more frequently than with each other. I know, I'm beginning to sound like Miss Thistlebottom. Maybe her day has come round again. For those who seek a middle way, try the lively New York Times blog called "After Deadline": "The latest subjective sampling of sparkling prose from recent pages. Read ’em and weep, or laugh, or cheer." Or read Harper's Magazine's Weekly Review. That's where I plucked the image of a humbug. You must know this poem and prayer; it has long been with us. And always worth saying and praying again, as repetition is often fresh gift to God, earth and ourselves, who are one and another. we pass a poultry farm, and every day we saw one single cow grazing on the hill. We could not avoid feeling pity for her being alone; cows are herd animals. One day, to our surprise, we saw a chicken with her, and for the next weeks we kept seeing this same scene every day: cow grazing––chicken picking; cow walking––chicken walking behind; cow lying––chicken lying. It filled us with joy: the cow was not alone anymore. What is going on, a chicken leaving her flock to hang around with a cow? Sure, she found plenty of delicious things to pick, but it was more than that. It is clear to us: in addition to our earthly climate, the human soul and nature in totality are changing. Richard Stoltzman is a clarinetist of astonishing range and depth, probably the greatest and most influential player of that wonderful musical instrument in the world today. He said the words above about his formative encounter with Debussy's lovely "Maid with the Flaxen Hair," Préludes, Book 1.
yearning, search, journey and fulfillment. Frederico Fellini's magnificent "La Strada" (The Road, 1954) was the first ever to receive the Academy Award for best foreign language film, in 1956. Its impact upon American audiences persuaded members of the Academy of Motion Pictures, normally focused on the produce of Hollywood, to recognize that fine films had long been made elsewhere in the world. "La Strada" deeply moved me. Filmed in stark black and white, its rural Italian landscapes are spare and hard, suggesting poverty, age, ravage of war. The story and characters are simple and manifold, comedic and tragic, like those of a fairy tale. Indeed, the word "fey" has been used to describe the brilliance of "La Strada's" central presence, Gelsomina. She is played by the Italian actress Giulietta Masina, Fellini's wife and muse. "Fey" means magical, fairy-like, strange, more literally and deeply, "fated to die." Gelsomina, a truly magical woman, does die, as do the film's two other principal characters, Zampanò (Anthony Quinn) and The Fool, touchingly portrayed by Richard Besehart. The story is simple and profound. A girl is sold by her impoverished mother to a crude traveling "strong man," entertainer and illusionist Zampanò. Gelsomina becomes Zampanò's assistant and companion, and as they travel by wonderful contraption — half wagon, half ancient motorcycle — from town to town, fair to fair, season to season, Gelsomina offers Zampanò a gift of true magic and love. She is a mythic presence of eros, a gift he is incapable of recognizing or reciprocating. The Fool, in this instance an aerialist, classical embodiment of humor, cleverness, tenderness and wisdom, recognizes Gelsomina as Zampanò cannot. But The Fool can only show the way. He himself, unlike those he serves, is powerless to effect transformation. He knows that gifts die if not recognized and passed on. An Italian film critic wrote of this film, "how much meaning, how much ferment enrich this apparent simplicity. It is all there although not always evident." "La Strada" is a beautiful embodiment of human frailty, longing, resilience and aching loss. Like the enduring stories of old, it may be viewed and understood on many levels, at once manifest and elusive. President Franklin D. Roosevelt's State of the Union Address to Congress on 6 January 1941 deserves renewed attention today. It became known thereafter as one of his most eloquent and important speeches. FDR proposed four essential human freedoms people throughout the world should enjoy, and went on to say more concretly what they imply for any of us. We might begin by reading and reflecting upon his own words, and listening, as we still can, to his resonant clarion voice. More important, we have both reason and opportunity to read and listen as if we heard the same words spoken today, for Roosevelt evoked values and needs, fear and thanksgiving, deeply of this day as well as his own. freedom from aggression, as he memorably put it, "freedom from fear" at home and everywhere in the world. In the autumn of 2011, this nation — 99% of us — know too little economic security, and have reason to fear, with others of this world, the political and military policies of our own American government, a corporate and military oligarchy as much as or more than a democracy. We need the energy, transparency, clarity and leadership represented by Franklin Roosevelt as deeply as did the nation he addressed in the war-shadowed and war-torn year of 1941, seventy years ago. It is valuable, then, to assess the relevance of the four freedoms to this earth's and its people's well-being. In the next few days and weeks, I hope to do that, and I welcome response from others. The Occupy movement is at a crossroads; we must not let it wither in the face of oligarchic opposition and suppression. Eleanor Roosevelt, in her own right one of the most admired people of the 20th century, was an important voice in her husband's conception of the four freedoms. She went on, after his death in April 1945, to serve their accomplishment — everywhere in the world — for the remaining years of her life, until her death on November 7, 1962.
should be constantly before our eyes to guide our legislation. That kind of world is the very antithesis of the so-called “new order” of tyranny which the dictators seek to create with the crash of a bomb. This nation has placed its destiny in the hands and heads and hearts of its millions of free men and women, and its faith in freedom under the guidance of God. Our support goes to those who struggle to gain those rights and keep them. Our strength is our unity of purpose. After a quiet time of listening, reading, finding some of what's new and old in mind and heart, perhaps it's time for a renewal of Reckonings, a journal as I put it a decade ago, of justice, hope and history. Those good words still seem to fit. True, there isn't a lot they don't embrace. That's an advantage for a writer and editor who grazes open land. "Journal," too, is a fine and capacious word. On the one hand it suggests personal musing for oneself, on the other an occasional gathering and winnowing of such material that may be useful to other people. I mean to include the spectrum. Reckonings is a home for sharing some of my own thoughts and feelings and occasionally those of others: especially my children and my friends, and often enough those more far-flung — poets and other artists, tinkers, tailors, soldiers and spies. You're welcome to join the conversation.